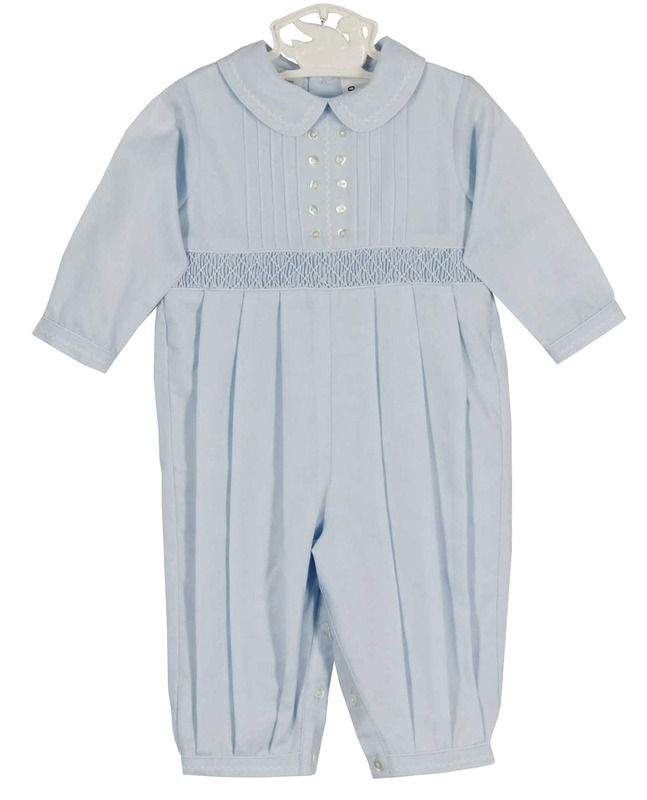 This lovely little blue cotton blend batiste baby romper is made by Sarah Louise, a top British designer of beautiful baby garments. 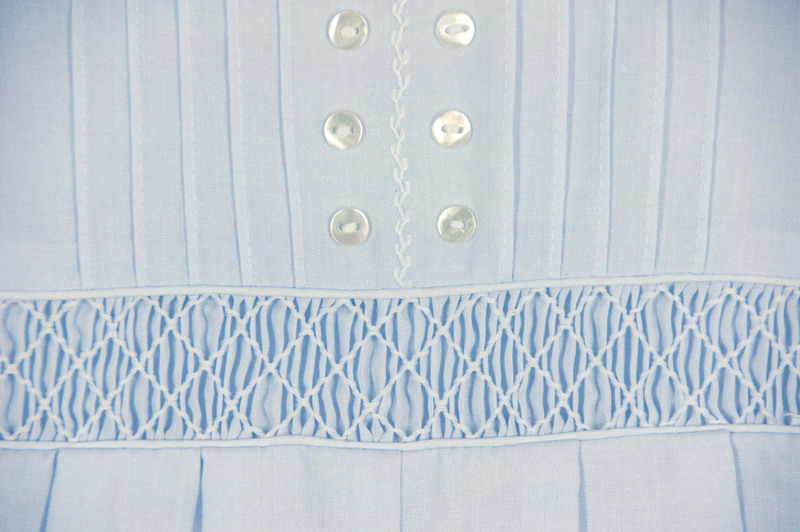 It features a smocked chest stitched in white topped with rows of vertical pintucks centered with decorative buttons. 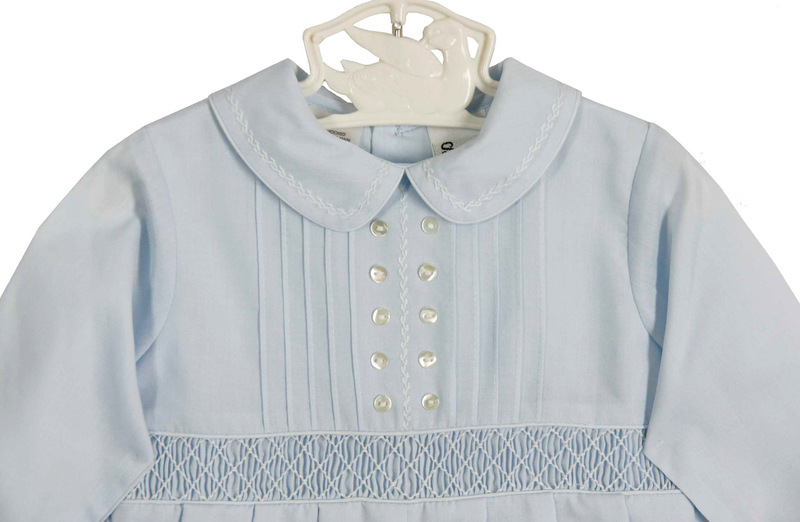 The collar, sleeve cuffs, and leg cuffs are featherstitched in white. The romper buttons in the crotch for ease in dressing and closes in the back with small buttons. 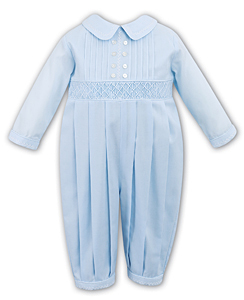 This beautiful little smocked romper is the perfect take home romper or portrait outfit for your baby boy. 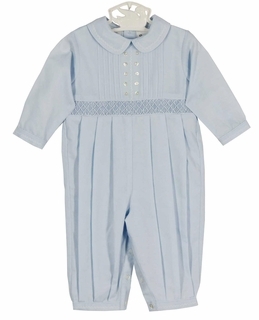 Note: This darling little outfit is also available in white with blue and in white with white embroidery. See below.